We offer a wide range of business solutions from website design to custom software that is designed, built and maintained by us, for you, from start to finish. We know you are busy managing your business, let us manage your website. Web Design with you in control. All of our sites are built from the ground up using the input we get from you. Once completed we will maintain and update your site for you. Open your business up to a new revenue stream. Every business is looking for new ways to increase profit, especially in today's economy. Software for whatever you need it to do. 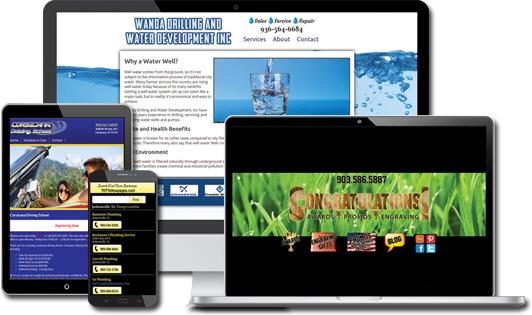 From mobile web applications to desktop programs, we can design a solution to meet your business needs.